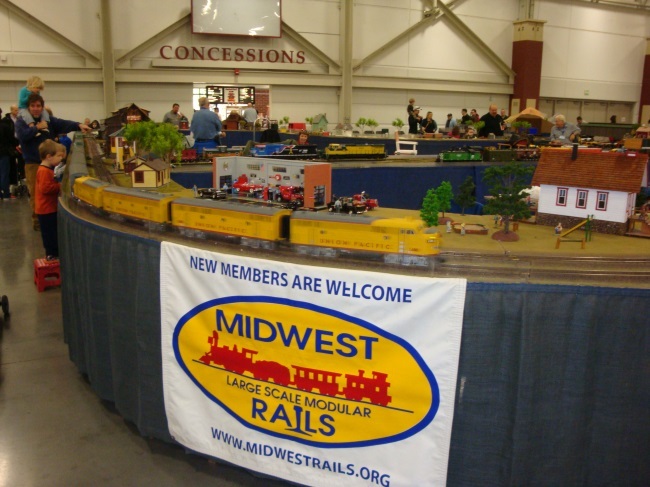 Midwest Rails set up a nearly 60 ft square layout. Experienced kids bring stools to Trainfest. It's time for some serious steam. Larry T, Chuck and Bert oversee the yard operations.